I rarely talk about work on this blog, but for this post, I have to show this photo. 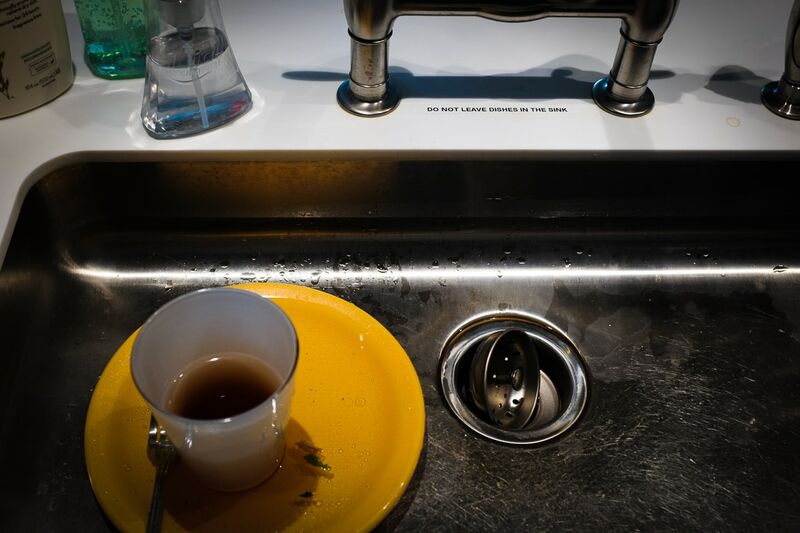 I just don’t understand how someone can just ignore the sign (and emails that have gone out) and leave their dishes in this sink. What is the person’s mindset? Do they feel privileged? Or are they rebelling against the facilities team? Or have they simply not seen the sign/emails? For the most part, our office is a really nice place to work, and everyone is friendly and respectful. But sometimes I have to wonder when I see stuff like this. Oh well… I hope you had a nice Thursday! Yeah, this happens at our office too. Dries me nuts.